The 2007 motor racing season is running wild! Stand 21 goes on developping technical solutions adapted to your driving conditions. Our partnership with Porsche Motorsport has been so successful so far, thanks to the full trust Porsche Motorsport has given us, that our range of products is spreading with the Martini Racing collection. Safety wise, the first part of the season has clearly shown the huge progress made over the last few years. We truly believe the HANS® efficiency is not to be proven anymore. We all saw Robert KUBICA's tremendous crash during the Canadian F1 Grand Prix. This young man got out with only a few lesions and a torn ankle, which is a miracle when you watch the nearly 250km/h impact into the concrete wall! Without the HANS® system, consequences would have been awful! - 3D reconstruction. 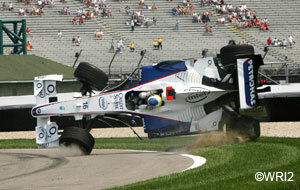 Another example is Hans Stuck' spectacular crash at the Nürburgring. Nonetheless, the 56–year–old driver was racing again a few days later. He can thank the HANS® system which saved his life. 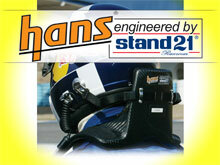 Unfortunately the HANS® system isn't compulsory or remained ignored in many amateur series! Concerned with racing drivers'safety on a daily basis, Stand 21 has developped this year, using our Heat Stress program, new pieces of equipment. The new helmet has arrived! IVOS for Innovative Vision & Optimum Safety is available. This helmet is the first one built exclusively around the HANS® system thanks to its innovative shape with a short rear and a long chin piece. As light as a feather -with only 1,330 gr, it is the lightest SNELL SA 2005 helmet worldwide- it avoids a great part of racing strain. 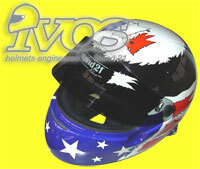 IVOS is also available made-to-measure because we consider the helmet must fit your head and not the other way around. As every Stand 21 helmet IVOS benefits from our technology including changeable and washable inner padding, which improves the driver’s comfort and increases the life of the helmet. You don’t need to change of helmet after every stint, you just change of padding in a flash! Would you like to reserve your IVOS? Contact us! Off course, Customization will be also available. For years, our R&D department has been working on avoiding Heat Stress. The next step is the first FIA homologated Air Force Racing Suit. 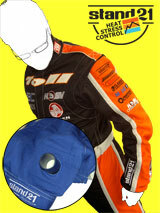 Its exclusive patented principle is simple: injecting fresh air inside the racing suit for your body to stay cool. You don't need any other equipment such as compressors. The generated Venturi effect spreads the air to the key parts of the body! Would you like to reserve your Air Force suit? Contact us! The partnership between Porsche Motorsport and Stand 21 has been so successful that we have created an official "vintage" Martini Racing collection. A 70's look with today's technology and safety standards! Relive the glorious Porsche - Martini Racing era thanks to this collection! Would you like to reserve? Contact us! 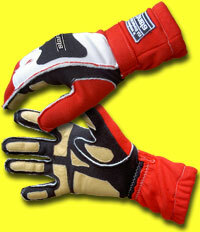 The new outside seams gloves are in stock! 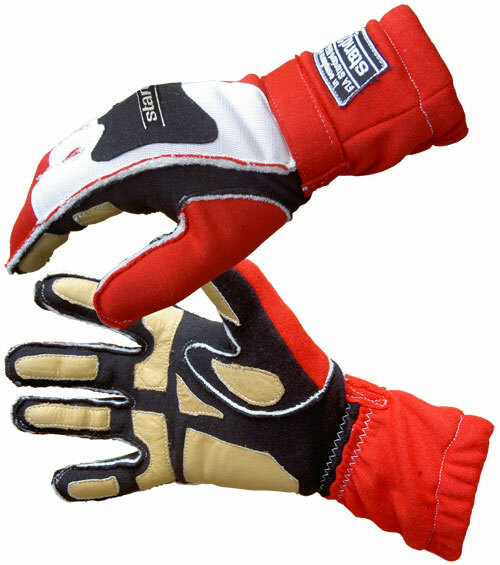 Very comfortable and respecting the new demanding FIA 8856-2000 standard, the outside seams II gloves have been inspired by our traditional and world-famous outside seams gloves specially made some twenty years ago to improve Formula 1 drivers' comfort. Your customized and made-to-measure boots! World exclusive! Stand 21 enables you to customize your racing boots! Made-to-measure, 9 leather colors, sole quality and color, Heat Stress option. All with an exceptional leather quality and the unmatched Stand 21 know-how! Create now your own pair of boots and have them embroidered to your logo or your partners'! 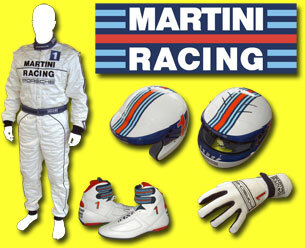 Porsche official racewear. Today, Porsche has joined us again. our quality products, our delivery times, our mutual respect and on our world distribution network. Stand 21 know-how suits Porsche Motorsport." Romain Morizot, Sales manager, Stand 21. Not yet compulsory in all championships, cups or series, many "amateur drivers" have understood its importance in case of a crash. « There is a real "awakening" and it is a huge step for safety in motorsports.» Dr Claude Meistelman. Videos and testimonies on our website. Stand 21, world leader in made-to-measure!!! 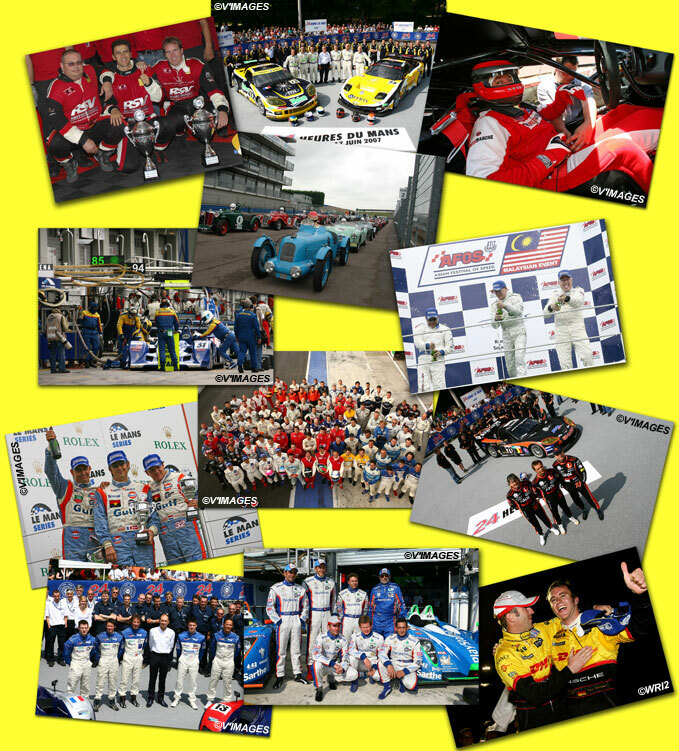 We stand for providing top-of-the-range products to racing drivers whether they are amateurs or professionals! 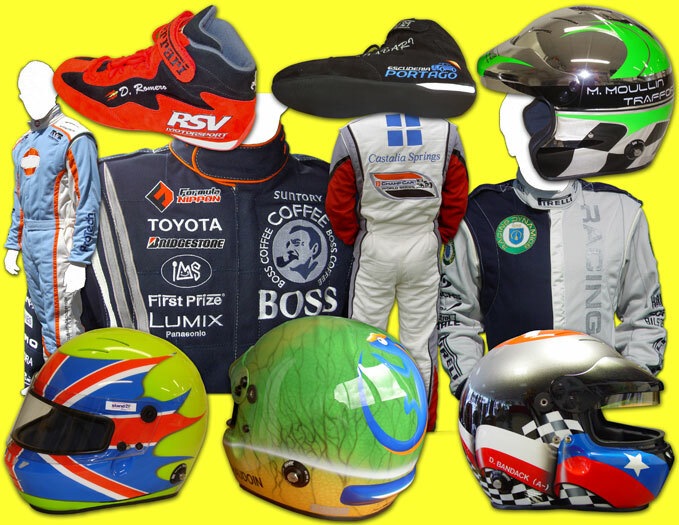 Create your complete made-to-measure equipment: helmet, racing suit, boots… for better comfort and increased safety! Log on www.stand21.fr and free your imagination! Stand 21 has the shortest delivery time for made-to-measure and customized products: within 10 days (depending on the season). We are proud to announce the opening of Stand 21 California!